LÂM ĐỒNG — Construction of small ponds to store water for irrigation under an official programme has helped farmers in Lâm Đồng Province to cope with the current drought. 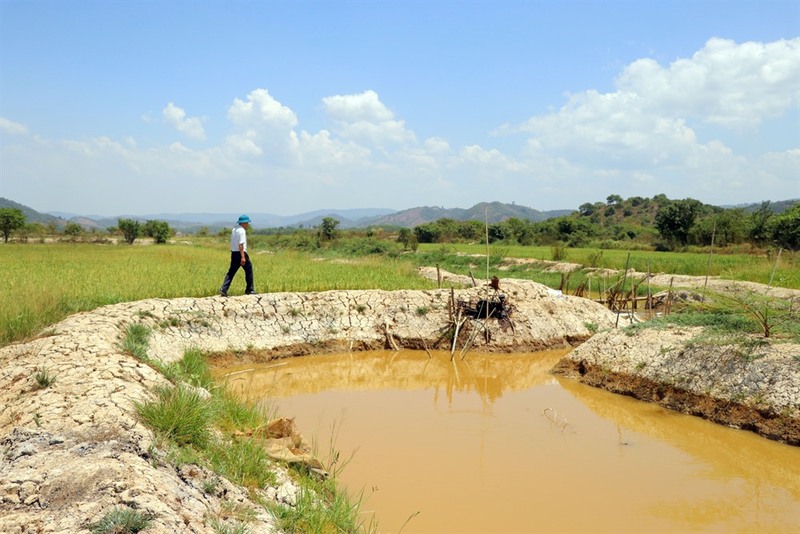 The project, implemented across the Tây Nguyên (the Central Highlands) province in 2016-20, requires the ponds, which draw groundwater and are also supplied by reservoirs, to be a minimum of 500sq.m and have a capacity of at least 1,500cu.m. Farmers digging them are provided with a 50 – 70 per cent subsidy of the cost of hiring digging machines. There were 1,727 ponds, dug at a cost of VNĐ41 billion (US$1.76 million), as of the end of last year, with the province providing VNĐ22 billion ($947,000), according to the province Irrigation Sub-department. 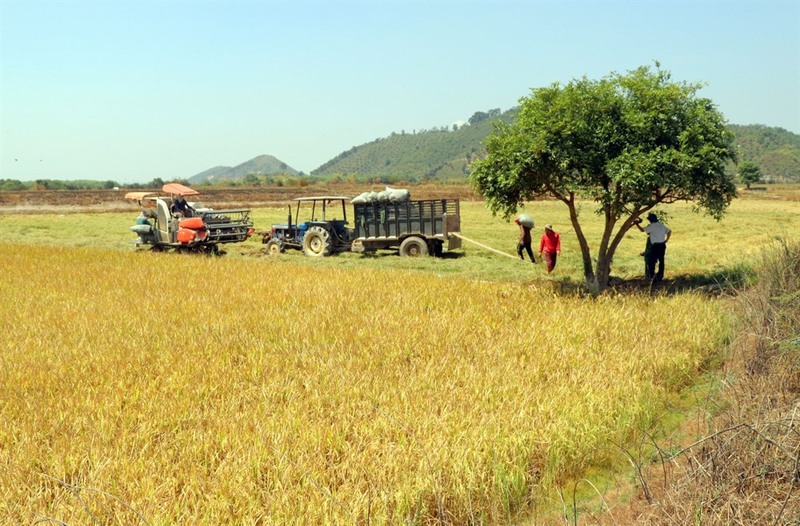 In Cát Tiên, Đạ Huoai and Đạ Tẻh districts, which did not get any rain last month and are suffering from a drought, farmers have dug 149 small ponds to serve 677ha of farmlands. In Cát Tiên, farmers in Mỹ Lâm Commune are harvesting their late maturing winter-spring rice and getting high yields thanks to the ponds. Dương Thị Kim Tuyến said when her rice was close to ripening the commune was hit by drought and there was no water in the springs and rivers to irrigate her field, and she used water from one of the ponds instead. She got a yield of 10 tonnes per hectare, she said. Phạm Văn Chương, chairman of the Mỹ Lâm Commune People’s Committee, said under the programme the commune has supported farmers with digging ponds, and they have proved very useful. The commune now has another 50ha of rice to be harvested, he said. Cát Tiên, the province’s largest rice producer, grows three crops a year on a total of 9,000ha. To supply water in the dry season, the district has built four pumping stations that can supply 100 – 300ha each. Nguyễn Văn Huề, deputy head of the irrigation sub-department, said the project has proved effective. Up to three households can together dig a pond on their land to take water for agriculture, he said. Each pond can irrigate 5 – 7ha and the cost of digging one is only VNĐ20–25 million ($860–1,000), he added.